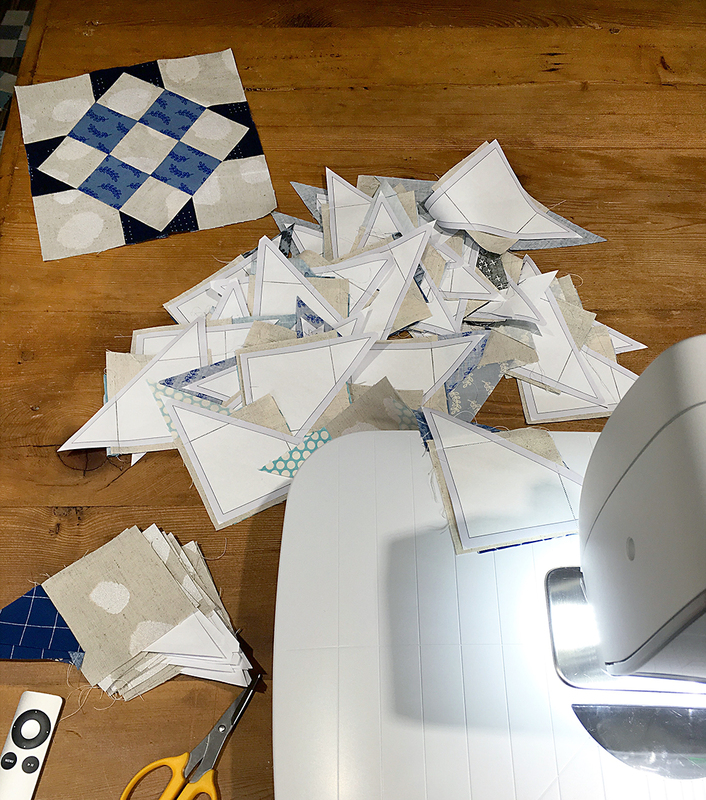 I've spent a bit of time this week working on my Union Square quilt blocks. I really like this metallic linen I'm using for the background. I'm kicking myself for only buying a yard. When I got it, I figured I would use it on a bag, not a quilt. Oh well - I'm sure there are plenty of other awesome metallic linens out there, right? I was in my happy place, chain paper piecing the corner segments for these blocks. Now to assemble them. When sewing the corner components to the nine patch, I will admit it is a bit tricky getting everything lined up just right. I'm going to cut myself some slack and not worry if it's a millimeter off. I also wanted to let everyone know that my Picnic Point quilt pattern (PDF) is now in the shop! (It's also available on Etsy and Craftsy.) I know a few of you have found it already. :) Thank you!